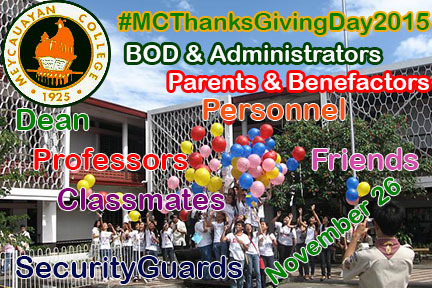 Thanksgiving Day, is an event celebrated at Meycauayan College every fourth Thursday of November. It has been celebrated since 2008. Click here to view photos of celebrating the Thanksgiving Day at MC.